Anyone driving a vehicle with a manual transmission will need to know the important of the clutch. Even a few people that drive vehicles with automatic transmissions will have clutches and need this information. As well, clutches are found in many other devices such as cordless drills, chainsaws, and mini bikes. The clutch is a component that consists of two rotating shafts. The shafts are responsible for two different actions. One will be driving your vehicle's motor or a pulley system, while the other will be used to drive a different device. The clutch will work as a meeting area for the two shafts to connect and work together. This allows the power from the motor to transfer from one shaft to the other and be sent to the other device (vehicle, cordless drill, etc). The two rotating shafts must be joined together so there can be connected and both spinning at exactly the same speed. However, there are some designs with detached shafts that are used when there is a need for different speeds of each shaft. What is a Heavy Duty Clutch? There is no major difference in clutches between a standard and heavy duty model. They will all perform the same actions and neither are necessarily more effective. However, some vehicles will require a heavy duty clutch to work smoothly. A heavy duty clutch is basically a clutch that consists of a heavy duty design. This will be more durable and can withstand more punishment as well. The clutch in your vehicle will be responsible for keeping your vehicle's engine and wheels from having a poor interaction. The engine continues to spin at all times but this is not the case for the wheels. If you are trying to stop your vehicle then you could damage your engine if there is no clutch to assist you. You have to make sure the wheels are no longer spinning with the engine when you go to stop your vehicle. Otherwise, you could kill your engine and this will be a costly repair. Basically, a clutch is used to make a smooth transition between spinning and non-spinning. There will be a slippage in between stages but this will be minimized if there is a clutch to help with the transition. The major issue is the friction caused by your vehicle's wheels going from spinning to non-spinning so quickly. A clutch can minimize the harshness of this process and is a necessary part for most vehicles. When choosing what type of clutch to buy it is highly recommended to look for a heavy duty model. If you are looking for a clutch for a cordless drill, mini bike, or similar device, then this may not be necessary. You do not want a clutch that is too heavy duty, but for a vehicle this will likely not be an issue. 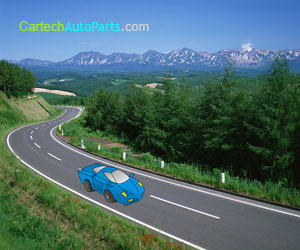 Therefore, it is suggested that you look for a heavy duty clutch if you are replacing the clutch in your vehicle. Not all clutches are marketed as “heavy duty” so it may be difficult to determine what model is worth investing in. The best thing you could do is research the brand name and look for reviews of their clutches. Do some research on the best clutches in the market and find one that is built to exceed your expectations. Upgrading to a heavy duty clutch can be a good decision for many people. If you ever need to replace the clutch in your vehicle then it is not a requirement but you may benefit from doing so. However, if you are upgrading your vehicle and improving the horsepower then you will want a heavy duty clutch. You should also keep in mind that the amount of stress put on your vehicle's drivetrain will be determined by the torque capacity of the clutch. If you are looking to replace your clutch then you should look for a heavy duty model. The cost of a heavy duty clutch should be approximately $200 to $400. Installation costs (if necessary) will be roughly $250 to $350 (approximately five hours work) but this is dependent on the mechanic. The information provided in this article should now give you a good idea on the importance of the clutch and why you should buy a heavy duty clutch, so use it to your advantage.